François Calmels. 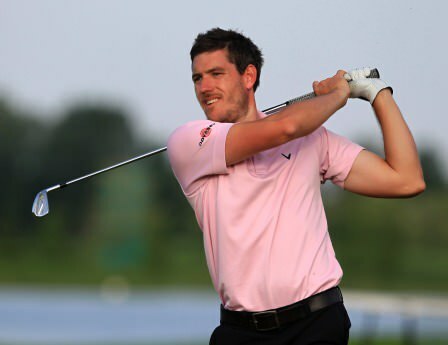 Picture by Ota MrakotaGareth Shaw and Chris Devlin slipped back with level par 72s and François Calmels fired a sizzling 11 birdies in a final-round 65 to come from behind and win his second Challenge Tour title of the season at the D+D Real Czech Challenge Open. The Frenchman, who began the day three shots off the lead at Golf & Spa Kunetická Hora, finished with an aggregate score of 22 under par, three clear of the English trio of Robert Dinwiddie, overnight leader Adam Gee and Sam Walker to pick up a cheque for €25,600 and with it move to second in the 2013 Challenge Tour Rankings. Shaw’s 72 left him tied for 26th on nine under with Devlin tied 60th on two under. Calmel’s stunning seven under par 65 – that included seven birdies in eight holes from the ninth – was not only the lowest final round by a winner this season but also the largest comeback on a Sunday seen this campaign. “This is totally different to my first win because there I was leading and just built from there, whereas today I started quite far back,” said Calmels, who also won in April at the Challenge de Madrid. 300 M Haines (Eng) 67 73 79 81. François Calmels hasn’t won on the Challenge Tour since 2009. Picture (c) Getty Images Simon Thornton and Gareth Shaw will be slamming their foot to the floor in search of a big finish in the Challenge de Madrid at El Encín Golf Hotel. 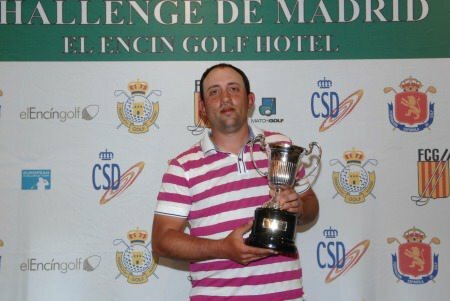 François Calmels with the Challenge de Madrid trophy. Picture courtesy Luis Corralo. 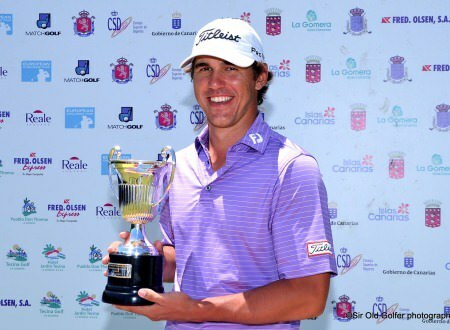 François Calmels complete a stunning, wire-to-wire, seven-shot win in the Challenge de Madrid. But it was also a positive week for Simon Thornton and Gareth Shaw as they moved up the Challenge Tour rankings. Robert Dinwiddie. Picture by Getty Images. Irish Open hopeful Chris Devlin made three birdies in his last five holes to survive the cut in the D+D Real Czech Challenge Open. But there was no luck for Niall Kearney or Mick McGeady.